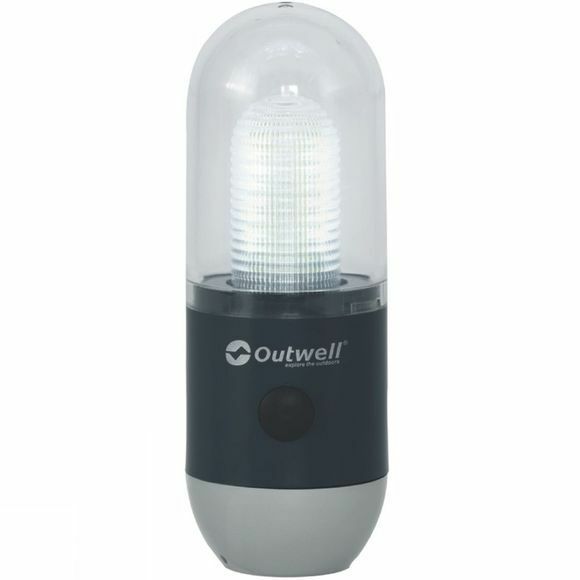 The Onyx Lantern from Outwell is a small and lightweight lamp that is ideal for family camping trips. At only 15cm high it won't take up too much space in the car while the 36lumens of light it gives off is more than enough to illuminate your tent, or even a seating area outside the tent, in order that you can read, play games or natter the night away. It has three different light setting so that you can get the atmosphere just right and the hanging hook and loop option gives versatility other than just a free standing lamp.